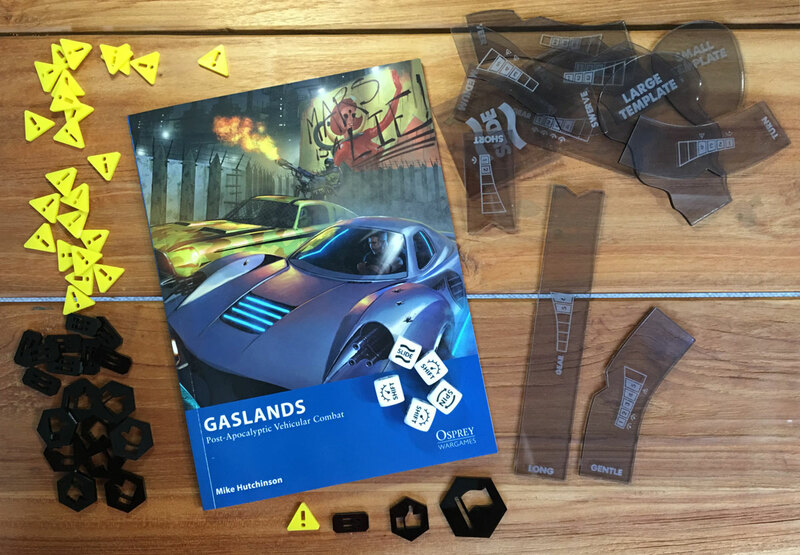 Gaslands was the winner of both the Judges’ and People’s Choice Awards for Best New Miniature Rules at the UK Games Expo 2018. 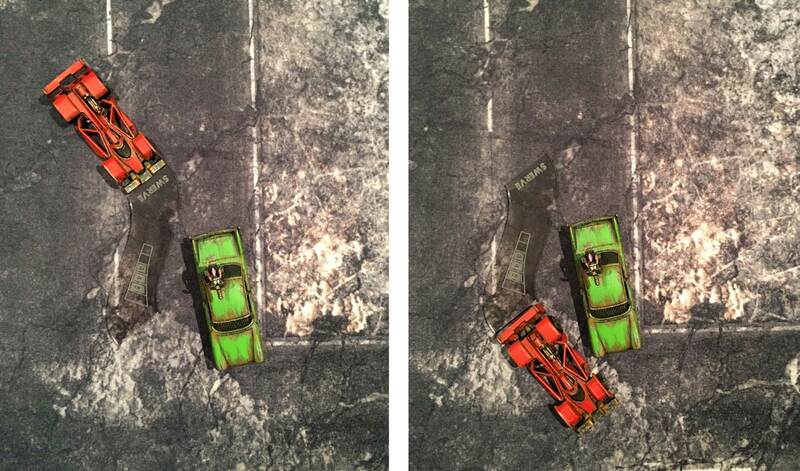 To get started, assemble some toy cars, kit them out with weapons and choose a scenario. 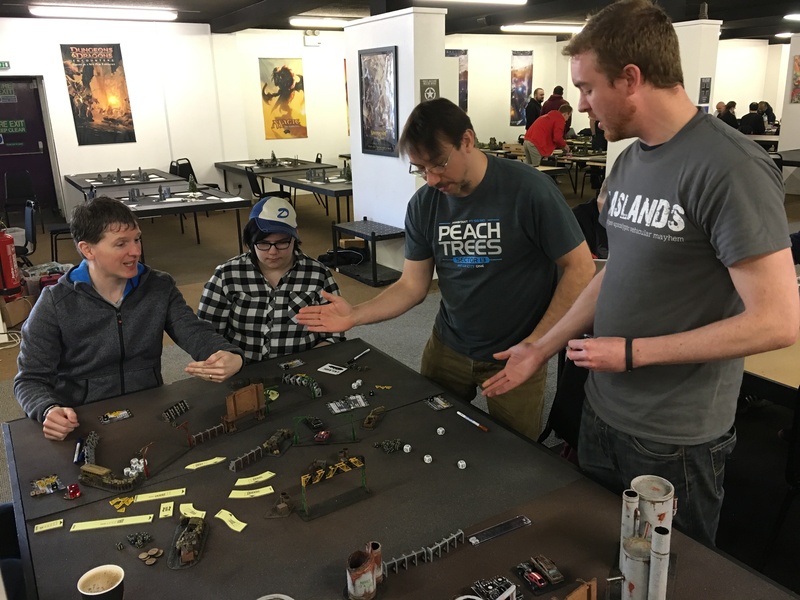 Set up some post-apocalyptic terrain; deploy your cars and roll-off for the first move. Each turn, you count up from Gear 1 to Gear 6 and in each gear phase you activate every vehicle currently in that gear or higher. Cars in higher gears will therefore move more often than cars in lower gears. To move, you pick a maneuver template that is allowed by the gear that you are currently in and place it down in front of your car. If you touch a template you must use it! Before you move your car, throw some skid dice to shift gears, spin or slide. When it comes to the skid dice, shift results are good and hazard results are bad. Shifting gears, sliding and other stuff is going to cause you to build up hazard tokens on your car. If you pick up six hazard tokens you wipe out at the end of the current activation. You can use the shift results on the skid dice to clear hazard tokens, so keep an eye on them. After making your skid check, move your vehicle along the template into its final position. If you drive into anything, you immediately resolve a collision. Collisions are normally bad news for the lighter vehicle, and worse for everyone if they are head-on. After a car moves, it has a chance to attack. You can make one attack for each crew-member. If you’re getting shot at, you can try to evade the attacks. If you take too much damage, eventually you are going to get wrecked and might also explode. If you are playing a death race, you have to drive through the gates, in order, in the right direction, faster than the other guys. 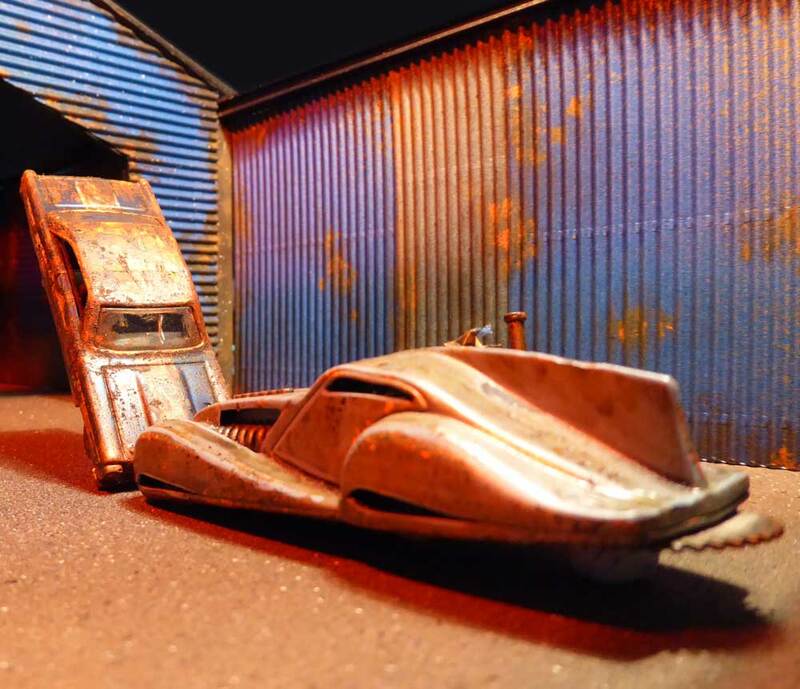 Some toy cars, painting them is optional!